Have fun and make the best of your stay in Osaka, Japan! Japan is one of the countries that I considered a "dream destination". We all know that traveling to Japan is not very cheap, and you need to plan your travel very carefully. To help you plan and prepare your budget, here are some of the offers that you might find interesting. Easy travel from Kansai International Airport to Namba Station in Osaka. Pick up your ticket with ease upon landing at Kansai Airport or at downtown Osaka's JR Namba Station. 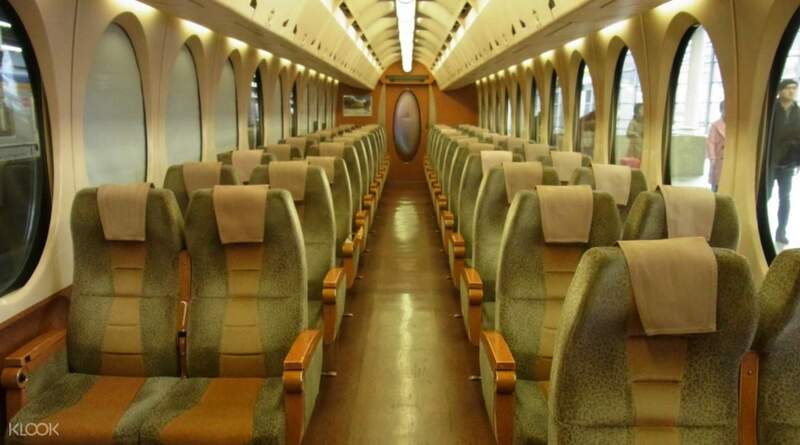 Enjoy the comfortable 38-minute journey in the 'retro-future' train interior. Frequent services depart every 30 minutes. Arrive (or depart) at Namba Station, one of Osaka's two most central hubs. Get a free JPY500 restaurant coupon when you pick up your ticket at Kansai Airport counter or OCAT counter - limited stock, book now! Introducing the most retro arrival experience Japan has to offer! Take this convenient transfer service between Kansai International Airport and central Osaka. Simply redeem your voucher for your one way or round trip ticket any one of the four convenient counters, including Kansai International Airport. Your trip from Kansai International Airport to Namba Station will only take 38 minutes, and while traveling, you will relax on a comfy train with a retro-future interior design. Waiting for your train can be daunting, especially when you are already tired from flight, but fear not, for this service runs every 30 minutes from day to night. You have the option to purchase one way tickets from the airport to Osaka city, or for even more convenience, book a round trip and make your way back home easier than ever! 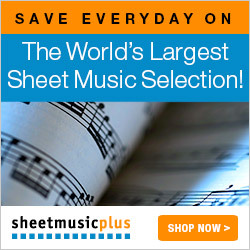 Make sure to check the package options and choose the perfect offer for you! Enjoy a stress-free private transfer in a spacious and comfortable car. Be greeted by your experienced driver on arrival at the airport who will help load your bags. Choose from a choice of car models to meet the needs of your traveling group. Your driver will wait for you with no additional charges for up to 90 minutes (or longer if notified of flight delays in advance). This is a one way transfer (day or night time), please make a second booking for the return journey. Ensure your memories of Japan are perfect from start to finish by booking your airport transfers in advance. On arrival at Kansai Airport, meet your professional driver waiting at the International Arrivals taxi stands and help load your bags before driving you to your chosen destination in Osaka, with the speed and exclusivity that comes with your own private vehicle. With the 7 seater Toyota Alphard and 10 seater Toyota Hiace, you'll be able to tailor your transfer to the needs of your travelling party. What's more, the car is equipped with air conditioning, WiFi, tissues, drinking water and even umbrellas for the ultimate comfort and convenience. This is a one way service between Kansai Airport and Osaka city. To book the other direction, simply make a second booking. For a more cheaper transfer from Kansai Airport to Kyoto, book this one instead. Get confirmation and your mobile voucher instantly after booking. 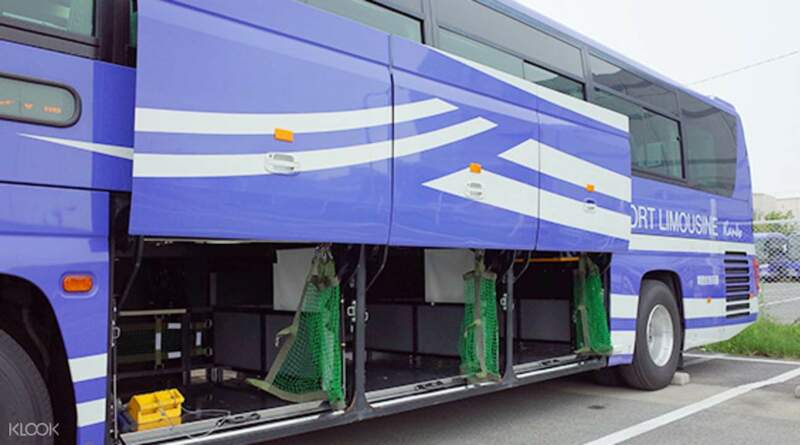 Travel on the comfortable bus service between KIX and Kyoto or Osaka (either direction). Enjoy convenient features onboard including soft seating, luggage space and even toilets. Choose your route from KIX to Kyoto/Osaka or the opposite direction. Easily exchange your mobile voucher for a physical ticket at the airport. 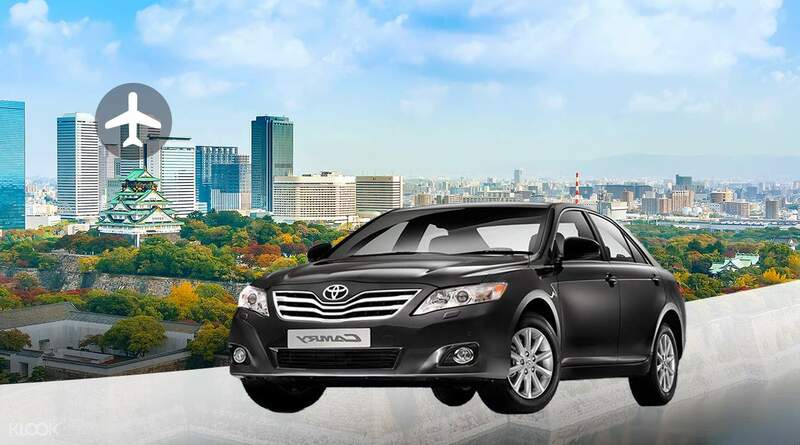 If you're looking for the best value and comfort transportation from Kansai International Airport to Osaka or Kyoto, look no further than the KIX Airport Limousine Service. Smoothly delivering you from the KIX terminal buildings along three routes, stopping at popular hotels and destinations in Kyoto and Osaka, it's not only a speedy option, it's great value too. With instant confirmation immediately after booking, plus mobile vouchers that are quickly exchanged for your physical ticket at the airport, beginning - or ending - your trip in Japan will be a breeze! To get more out of the tour, here are the must have passes while in Osaka. The complete Osaka sightseeing pass. Choose the duration of your pass for extra flexibility and gain entry to 30 iconic Osaka tourist sites. Visit Osaka Castle Museum, Osaka Science Museum, the HEP FIVE Ferris Wheel, Umeda Sky Building Floating Garden Observatory, and more. Enjoy the convenience of an all-inclusive pass and discover Osaka at your own pace. Entry is as simple as showing your pass, with no prior reservations needed. The pass includes truly unlimited use of the subway, tramway, and bus system within the city. Receive discounted prices in certain restaurants and stores around town. Are you only going to be in Osaka for a day or two and want to see all the best of the sights, but also make great savings? If so, then the Osaka Amazing Pass might be for you. 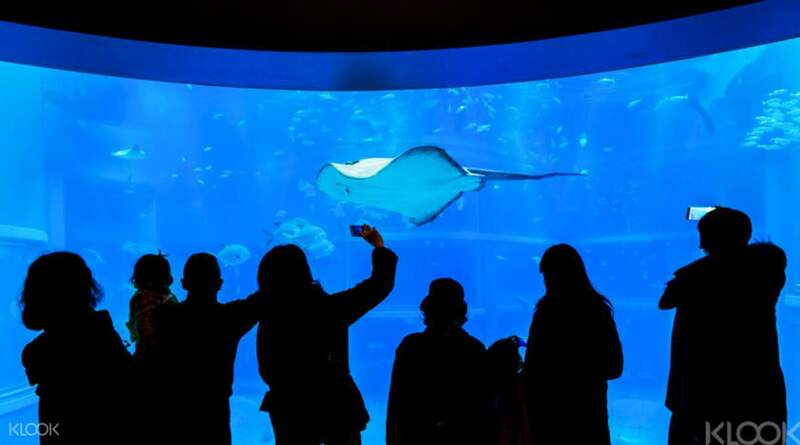 The pass gives unlimited use of the Osaka subway, tramway, and bus network plus entry to dozens of Osaka's top tourist attractions for a duration of either 1 or 2 days. Choose from some of the city's most iconic landmarks such as the Osaka Castle, Osaka Zoo, or the Nagai Botanical Gardens. Alternatively take a trip on the famous Tombori River with a classic river cruise or a Tombori River jazz boat tour. The pass also comes with a guidebook and coupons that provide special offers and discounts at at a number of shops and restaurants around Osaka. The perfect all-inclusive pass for those looking to make the most their Osaka experience! Discover Osaka, Kyoto and more with a flexible rail and bus pass. Two types of flexible pass offering unlimited rides across either 2 or 3 days within the valid period. Travel in comfort and style to a number of cities in the Kansai and Osaka Bay region such as Osaka, Kobe, Kyoto, Nara, and more. Purchase train, bus, or subway tickets the hassle-free way without going through the troublesome task of checking complicated rate tables to buy tickets. Use the pass for travel between Osaka and Kansai International Airport. Benefit from discount promotions at over 350 major tourist facilities across the covered area. The Kansai Thru pass is the ideal way to discover more of Japan's Kansai region and take in a number of the area's most interesting cities. This flexible all-inclusive ticket enables you to ride on subways, railways and buses throughout the Kansai district with coverage expanding to Osaka, Kobe, Kyoto, and more. What's more, the pass enables you to tour Osaka, Kobe and Kyoto, as well as the lesser known, but equally as interesting cities of Nara, Wakayama and Koyasan. With two ticket types - the 2 day and 3 day pass - the Kansai Thru Pass offers excellent value for money, and with the added flexibility of using the pass on un-consecutive days during its period of validity, the Kansai Thru Pass allows you to create your own Japan experience at your own desired pace. Convenient discount card for JR, subway, private railway, buses and shopping in the Kansai area and around. The contactless rechargeable smart card is the easiest way to travel around the JR West network including Kyoto, Osaka and Kobe. Preloaded with 1,500 yen and 500 yen deposit. 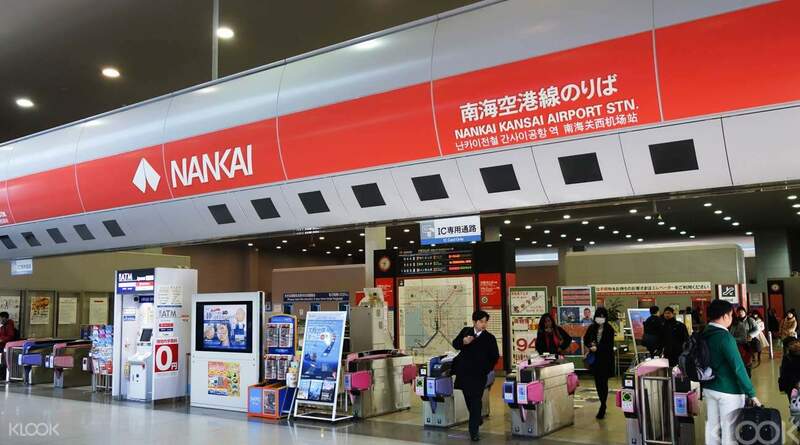 Discounted Haruka rail ticket for the Kansai Airport Express (incl. 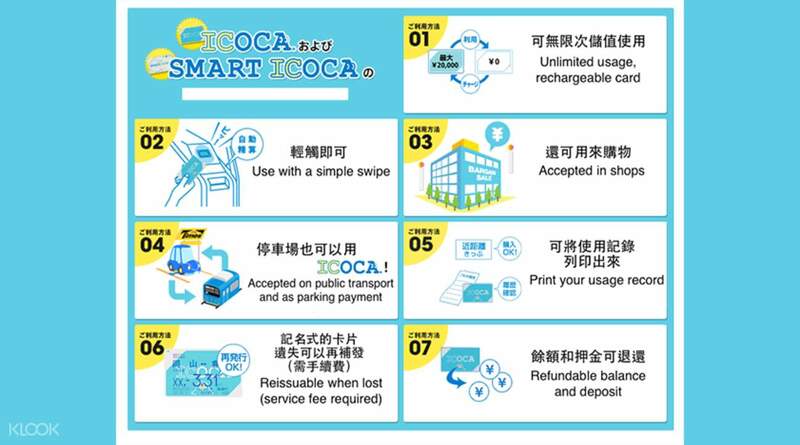 Tennoji, Shin-Osaka and Kyoto) on presenting your ICOCA card (temporary visitors with foreign passports only). 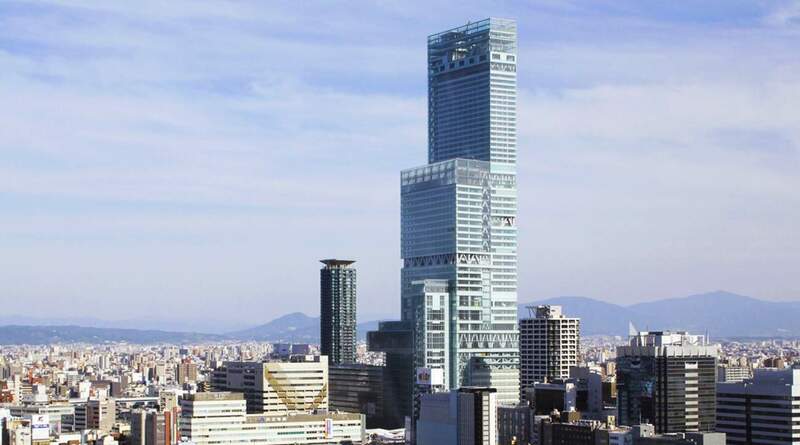 Tallest skyscraper in Japan plus discount transport pass. 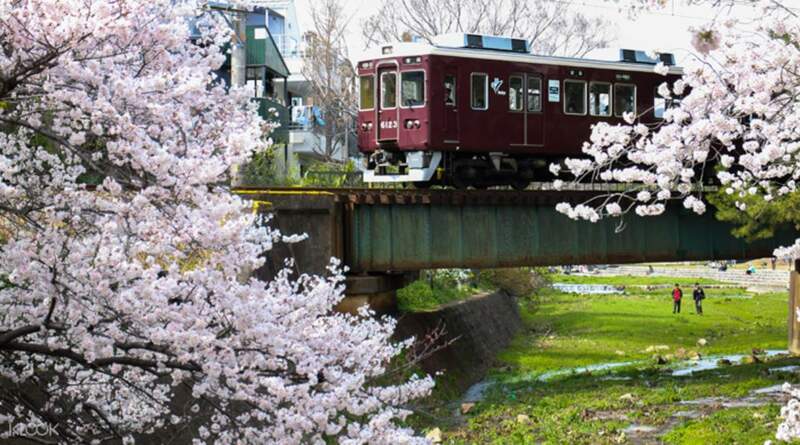 Unlimited travel on Hankyu lines in Osaka, Kyoto & Kobe. The ideal pass combining travel and sightseeing in Osaka. Conveniently pick up at Kansai Airport and arrive at Osaka city center within just 40 minutes. Get discounts at 32 tourist spots all over Osaka including the Tsutenkaku Tower, Osaka Water Bus, the Umeda Sky Building and more. Ticket includes a day's use of the Osaka Municipal Subway, New Tram and bus with unlimited rides. Discover Osaka at your own convenience and take in the sights of one of Japan's most vibrant cities. For less hassle and to avoid inconvenience, I would suggest that you buy the Sim Card instead of renting the Pocket Wi-Fi. At least you don't have to worry about misplacing or damaging it and at the same time you don't have to set aside extra time just to return it. 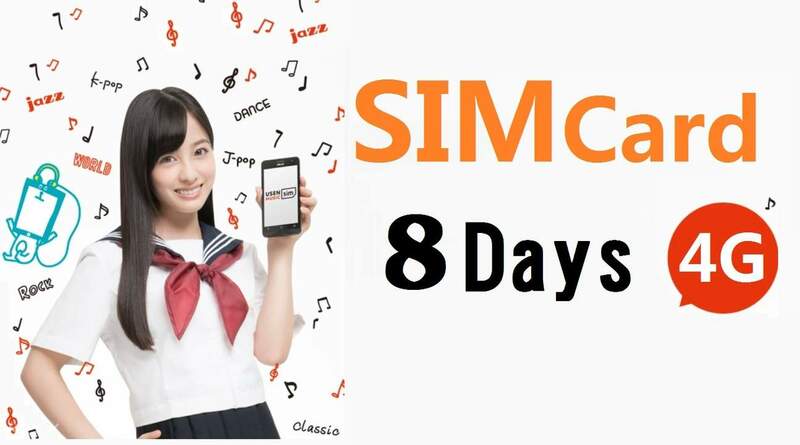 KIX Airport or downtown Osaka pick up for a Docomo data-only SIM. We know that you love to be able to connect with friends and family whilst abroad - but you don't like roaming costs. Pick up a local 4G SIM card on arrival at your preferred counter and get set up instantly with the help of the friendly staff. Enjoy fast, efficient and trusty mobile service across the whole of Japan, brought to you by one of Japan's most popular service providers. Choose a data size from three different options to suit your preferences: unlimited data, 3GB of data or 1GB of data. With a great value 4G SIM you'll be able to send those holiday snaps to family and friends, look at maps to find the best things to do in Japan, and stay in the loop with emails while you're away. Pick up a 4G WiFi router conveniently from the airport. Enjoy speedy WiFi coverage all over Japan. Unlimited data use provided by major Japanese telecom Softbank. Choose which airports to pick up and return the router. No minimum rental period limit, you can rent it just for one day if necessary. 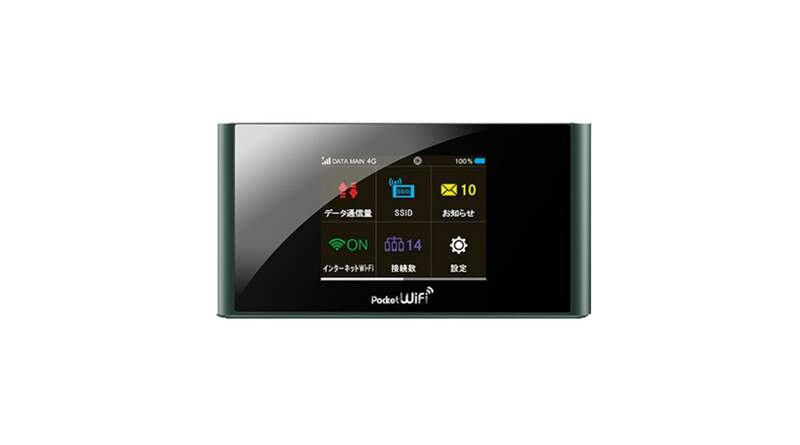 Enjoy 4G WiFi coverage across Japan on a pay per day rental basis. With services at all Japan International airports, you can pick up and drop off your device at different locations. 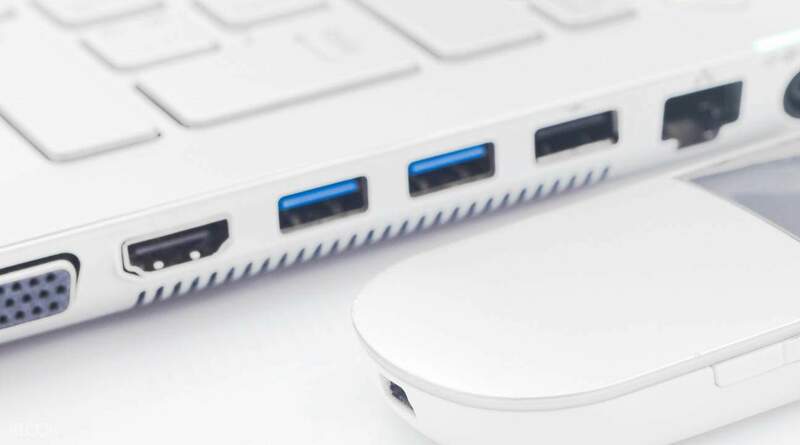 Connect up to 5 devices on the same pocket WiFi router. Get your Universal Studios Japan ticket guaranteed with booking service from Klook - authorised reseller of USJ. Immerse yourself in your favorite movies with access to all of USJ's themed zones based on well known Hollywood blockbusters. Ride and dine with the magic folk at the Wizarding World of Harry Potter (we'd also recommend booking a VIP Wristband to beat the crowds to get in). Book a Universal Express® Pass for fast track access to USJ's most popular attractions. Book the new Universal Studios Japan 1.5 Day Pass! You can enter after 3:00pm on the first day and keep the fun going all day the next day. Just pick up your pass at KIX or OCAT! Don't miss 2017's most anticipated attraction, Despicable Me Minion Mayhem, a 4D animated simulator ride. Use the Express® Pass on the best rides at Universal Studios like Harry Potter and the Forbidden Journey, Minion Mayhem, The Flying Dinosaur, The Amazing Adventures of Spider Man, and more! Save time and have more fun at Universal Studios Japan with an Express® Pass! This pass is purchased separately from a park entry pass and allows you to skip the lines at the most popular rides and attractions inside Universal Studios Osaka at specific times. Choose from a variety of passes to skip the queue at every, some, or just your favorite rides and attractions. These passes work at popular USJ attractions such as Harry Potter and the Forbidden Journey, Flight of the Hippogriff, Despicable Me Minion Mayhem, The Flying Dinosaur, The Amazing Adventures of Spider Man, and more! 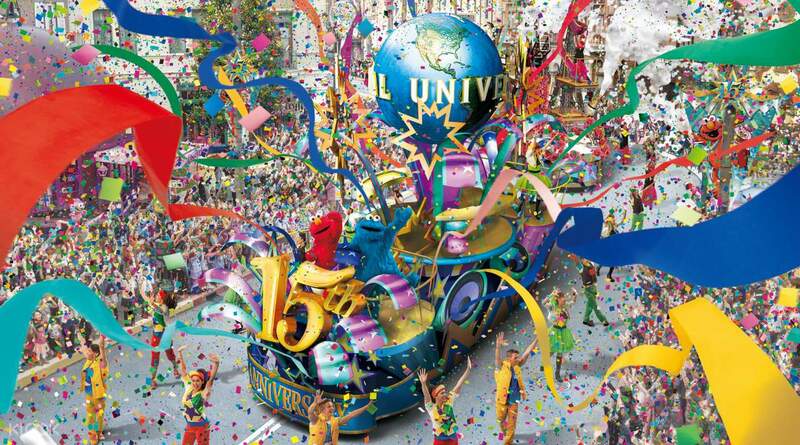 In addition, you’ll be able to enjoy the many parades inside Universal Japan at special viewing areas reserved for Express® Pass holders. This pass is perfect for families who want to spend the day having fun instead of waiting around on their feet! Make sure the kids remember the rides and not the waits on their visit to Universal Studios Japan. Book your Universal Studios Express® Pass today! Step into the park's most famous attraction, the Wizarding World of Harry Potter. Don't lose your head at the world's craziest attraction, the Minion Mayhem Area. Greet anime legends from One Piece, Dragon Ball and more from 30 June to 1 October 2017. Conveniently redeem your voucher at Osaka's Kansai Airport (KIX) or Namba OCAT Station. You might also want to check out the one day USJ admission ticket and USJ Express Pass for fast track admission to attractions. Enter the amazing worlds brought to life by the world's biggest blockbuster movies with this one and a half day ticket to Universal Studios Japan in Osaka! Pick up your ticket right at Kansai International Airport or Namba OCAT and head straight for adventure! Get fantastic value tickets to USJ and extend the fun with admission from 3:00pm on your first day, and a full day of fun on the following day. Lose yourself in the magic and splendor of the Wizarding World of Harry Potter, the park's most famous attraction, and get a taste of life as a wizard! Keep yourself from losing it when you head to Minion Mayhem Area, the world's largest and craziest park, with a great gift shop for minion lovers everywhere. A fan of Japanese animation? See the worlds of One Piece, Dragon Ball, and more of the world's most famous titles come alive as you meet their characters within the park. All these and more of some of the world's most state of the art thrill rides and attractions in the one theme park in Japan that you shouldn't miss. Enter the park via the VIP fast track for The Wizarding World of Harry Potter and other rides! Get a secret website link revealing the exact opening time of USJ the day before (it changes daily), so you can arrive prior to official opening time to access the VIP line (STUDIO WEST). 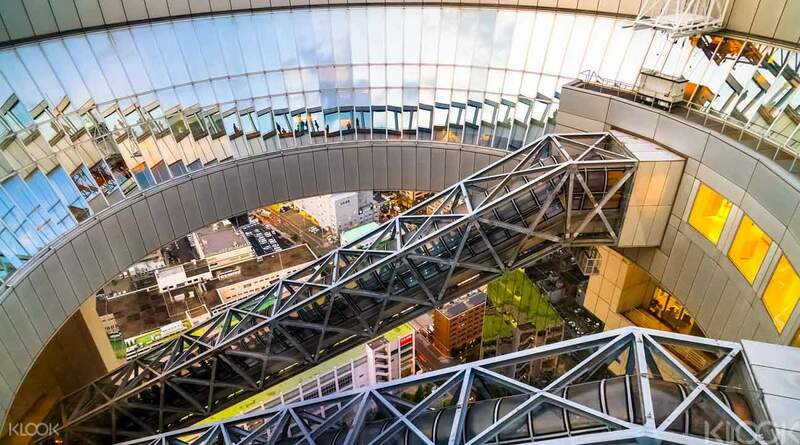 At Harukas 300 get a bird's eye view of downtown Osaka at a height of 300 meters. You can also purchase a single HARUKAS 300 Observatory Admission Ticket with an optional Osaka Visitor’s ticket. 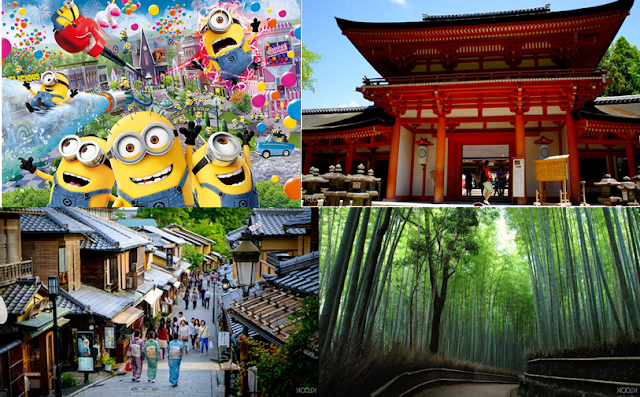 Visit historic cities near Osaka plus get a free HARUKAS 300 ticket. See the main sights of Kyoto and Nara (Tōdai-ji, Kasuga-taisha, Kiyomizu-dera) in this one day tour. Walk the grounds of Nara Park and meet the famous bowing deer, hundreds of which roam freely. Stroll through the picturesque beauty of Arashiyama. Enjoy hotel pick up and drop off plus comfortable coach transportation throughout. Get a free ticket for HARUKAS 300 Observatory Pass (¥1,500 value). Chinese, Japanese, and English speaking guides are available. Explore and learn about some of Japan's most significant cultural sites and traditions in this day tour of Kyoto and Nara. Upon getting picked up from your hotel in Osaka, you will be driven to Nara Park which is well known not just for its traditional features but also for the hundreds of bowing deer which call the park home. Purchase some deer feed and make friends with the friendly deer who are sure to come to say hello. Then you visit Kasuga Taisha Shrine, the most significant in Nara, and a UNESCO World Heritage Site. Then you'll head for Kyomizudera Temple, one of the most celebrated in all of Japan and known for its elevated platforms. 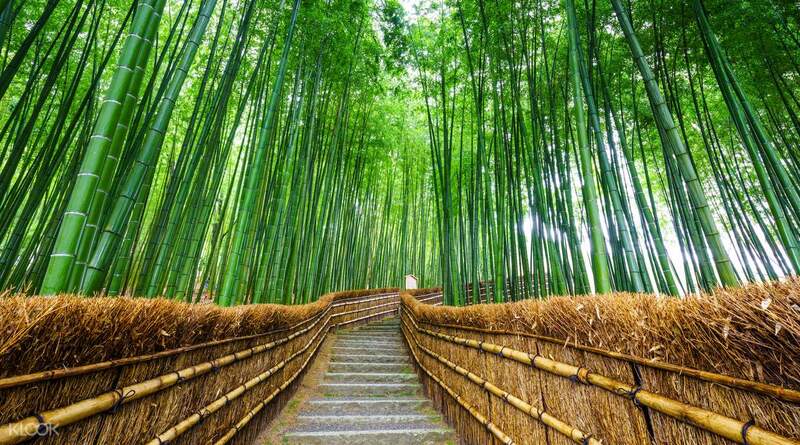 You will have plenty of free time to have lunch and explore before you head to the picturesque Arashiyama bamboo forest, where the serenity of the rustling bamboo evokes the harmonious atmosphere that Japan is renowned for. 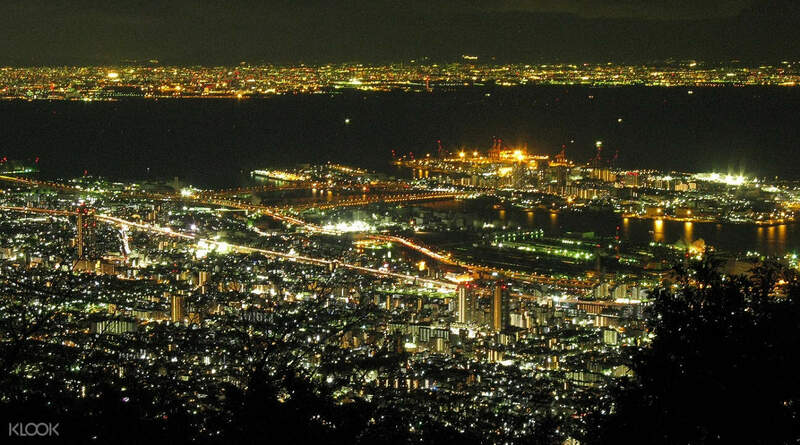 Now when you book this tour you'll also get a FREE Harukas 300 observatory pass for fantastic views over Osaka, to use on a date chosen by you. Get a taste of Osakan culture and soul food. Explore the spiritual beauty of one of Japan's oldest shrines - Sumiyoshi Grand Shrine. Walk along the famously high-arched Taiko Bridge. 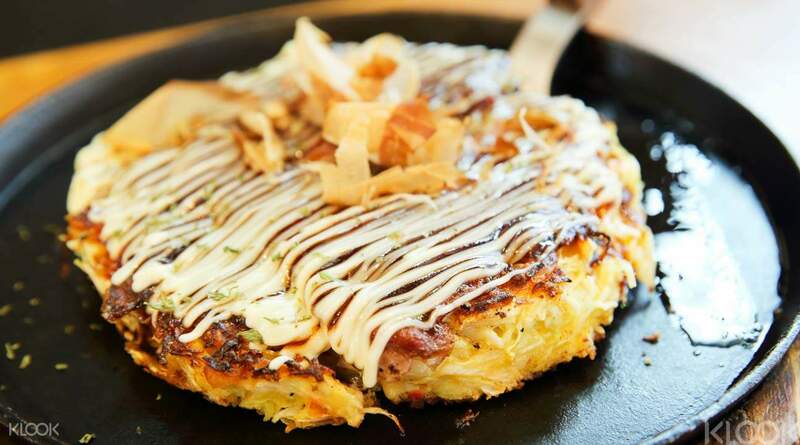 Experience the deliciousness of Osaka's street food. Experience Osaka's traditional culture with a morning trip to Sumiyoshi Grand Shrine. The shrine is one of Osaka's oldest, founded before Buddhism during the third century. The Chinese influenced most shrine designs in Japan; however, Sumiyoshi Grand Shrine is one of the country's few shrines considered purely Japanese. Grab another taste of the city with an authentic street food experience. Enjoy the local Osakan dish kushi-katsu - the perfect combination of pork, squid, octopus, lotus root, shishito pepper and eggplant! Step into the wonderful underwater world. Experience Osaka from sky, water and land. Soak in a 360-degree panoramic view of Osaka's booming city. Time travel back into the 1500s with a stroll through Osaka Castle. Take a riverboat cruise and gaze at Osaka's iconic landscapes. Enjoy a Western-style meal at Hotel Granvia Osaka. Transport back to the 1500s with a visit to the iconic Osaka Castle. Travel 150 meters up to the Floating Garden Observatory in the Umeda Sky Building, and marvel at the 360-degree panoramic view of Osaka's towering skyscrapers and booming city life. Gain a new perspective of the city with a riverboat cruise past Osaka's flourishing landscapes and historical sites. From sky, water and land, this one-day walking tour gives you an unparalleled view of one of Japan's most famous cities. Delve into Japan's ancient imperial past on a history inspired tour. Experience the picturesque beauty of Arashiyama, from the tranquil waterfront to teh atmospheric bamboo forest. Travel back to the 8th century with a visit to the imperial capital and UNESCO World Heritage site of Nara. Discover the Japanese national treasures of Todai-ji Temple and Daibutsu Buddha. Have the chance to feed the tame 'nodding' deer of Nara Park. Learn about the rich history of this ancient area from English speaking tour guides. Enjoy a delicious Japanese lunch (optional) and comfy rountrip transport included. Savor gourmet food and take in Kobe’s scenery on a luxury cruise. Choose between an noon,afternoon,evening, or night sailing experience on a luxurious cruise. Enjoy a beverage or a gourmet Japanese Teppanyaki meal onboard prepared by professional master chefs. Prepared to be mesmerized by a live classical performance or a live jazz performance at night! Be taken around Kobe seaside, and brush across some of the most sceneric views of the city, including the Akashi Kaikyo Bridge. Choose to board the cruise for a delicious gourmet meal in the afternoon, evening, or at night. You will depart from Kobe Harborland and be taken around the seaside, bypassing Kobe Airport with views of Akashi Kaikyo Bridge in the distance. Onboard the luxury cruise, you will either enjoy live performances of classical music in the afternoon/evening, or jazz music at night, all the while sipping your beverage, or indulging in a gourmet teppanyaki meal prepared by professional chefs with only the finest ingredients. Savor your Wagyu steak accompanied by some of the best views in Kobe. At the end of your cruise, you will arrive back at the harbor to end a relaxing day. Enjoy a guided tour of Kyoto's must see historic sights. 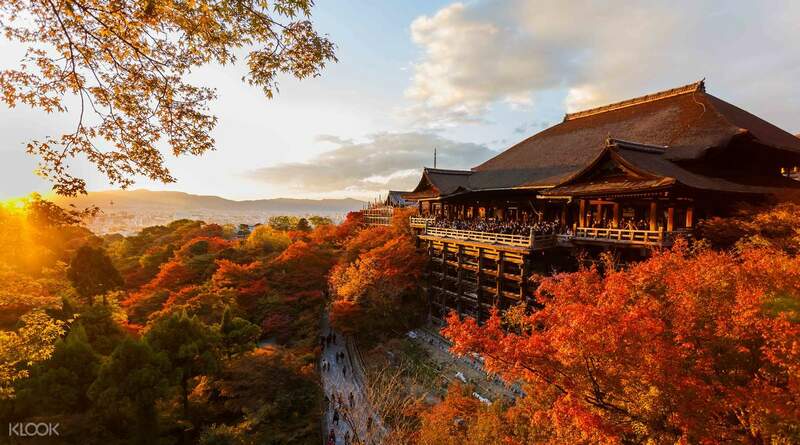 Discover the tranquil beauty of Kiyomizu-dera Temple, a listed UNESCO World Heritage site. Visit the gold leaf zen temple of Kinkaku-ji and explore its immaculate Japanese gardens. 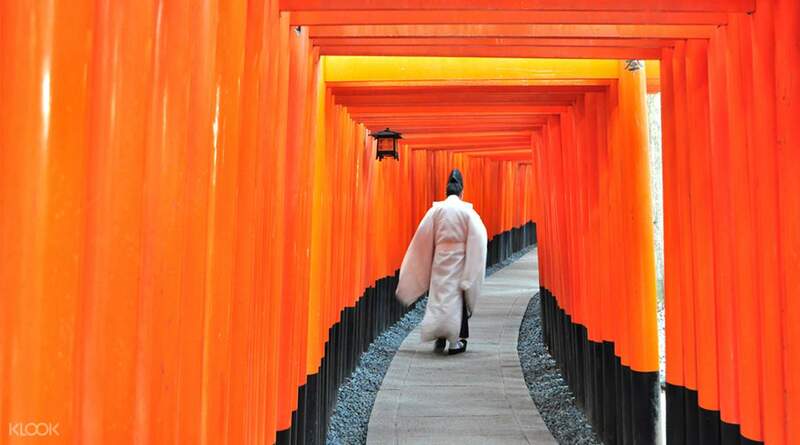 Wander through the thousands of orange tori gates winding through the wooded forests of the Fushimi Inari Shrine. Enjoy a choice of traditional Japanese meals for lunch (optional). Relax with comfortable and convenient transportation to and from Osaka. 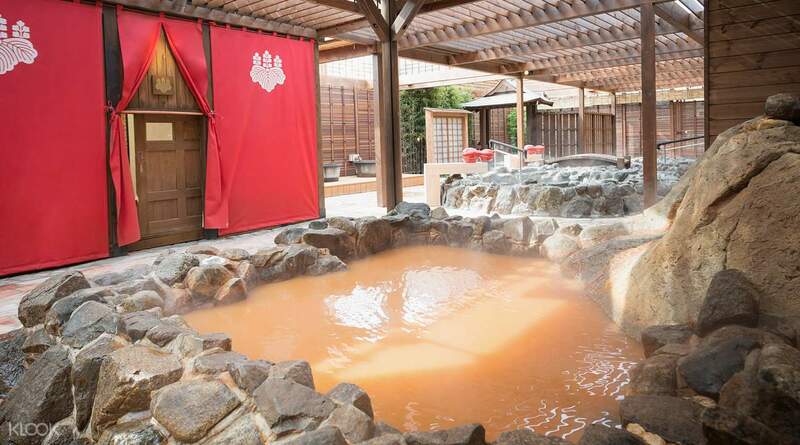 Dip in to Japan's oldest onsen with 1300 years of history. Spend time among the deer and tranquil nature of Nara. Enjoy a convenient afternoon tour of Nara from Osaka. Walk the grounds of Nara Park and meet the famous deer, hundreds of which roam freely. Visit the UNESCO World Heritage Sites of ancient Todai-ji Temple and Kasuga Taisha Shrine. Shop for mementos at Nara Nagomikan, the largest souvenir shop in Nara. 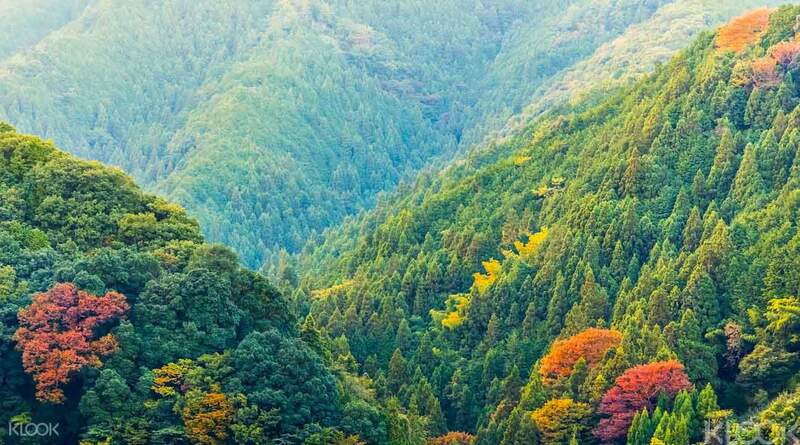 Providing travelers with the perfect excursion from the big city, the beautiful city of Nara (once Japan's capital) is an ideal nature escape in all seasons. Famed for the thousands of deer that graze and roam freely in the park as well as the significant temples dating from the eighth century. Once inside the park you'll visit two UNESCO World Heritage Sites. 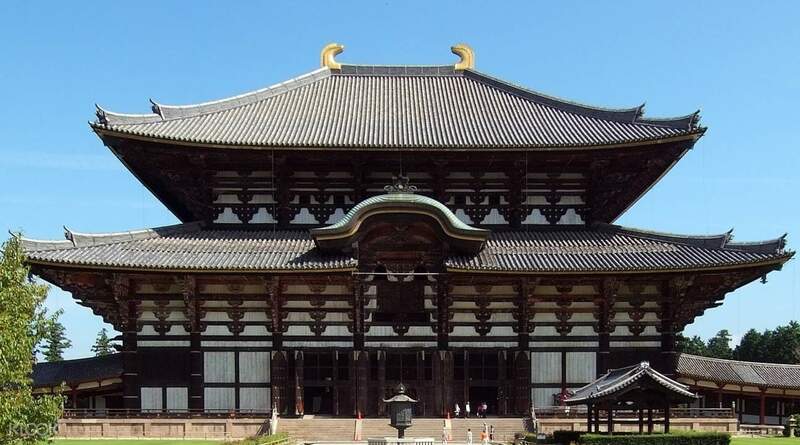 Todai-ji Temple is an iconic symbol of the Nara Period and one of the world's largest wooden structures. The huge 15-meter bronze Great Buddha is truly a sight to behold. Kasuga Taisha Shrine, built in 768 AD, is famed for its stone and bronze lanterns. Making your way to the shrine, you'll encounter a number of deer, thought to be the shrine messengers. Eternally hungry, you can purchase food to feed the deer who will thank you with their characteristic nodding! An afternoon to experience Kyoto's iconic historical sites. 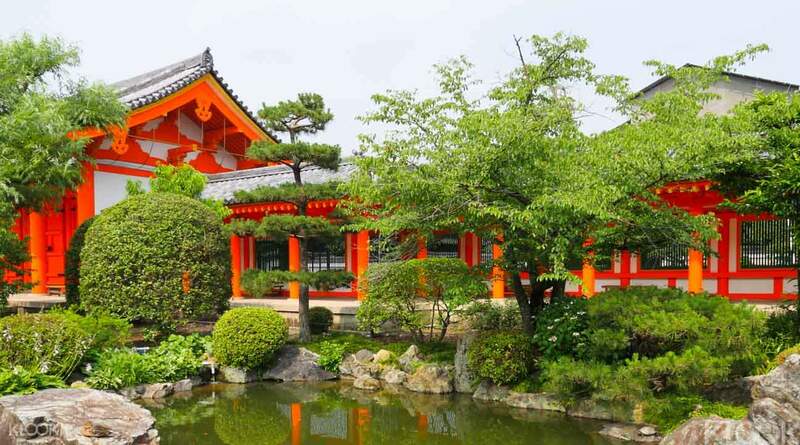 Walk through the characteristically vibrant red Heian Jingu Shrine. Explore the world's longest wooden structure, Sanjusangen-do Temple. 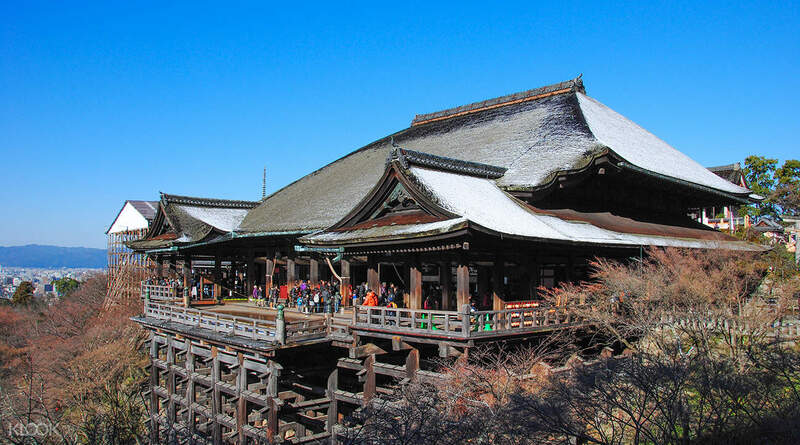 Visit the Kiyomizu temple and walk through the historic shopping lane leading to its entrance. Transform your afternoon into an adventure filled with expertly crafted temples and a visit to the vibrant red Heian Jingu Shrine. Relax and take in the temples' serene and natural environment—it's a convenient short addition to your Japan trip! You won't want to pass up this opportunity to take an afternoon out of Osaka and turn it into a memorable journey through Kyoto's history. Witness Japan's rich culture first hand and dine like a wrestler. Gain a true traditional Japanese experience in Kyoto in a day full of cultural delights. 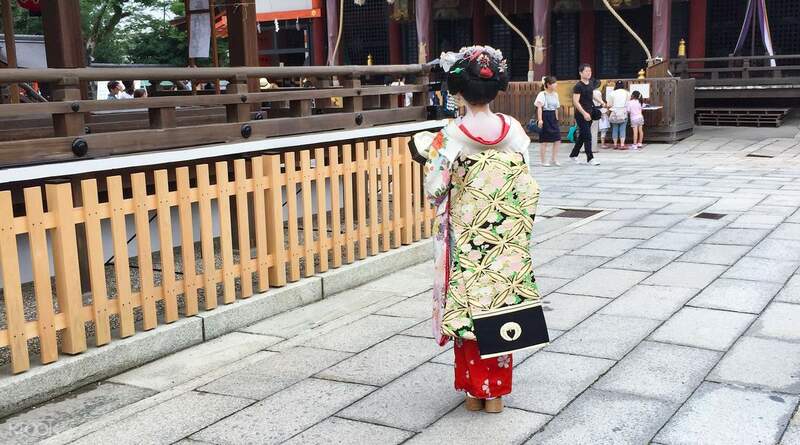 Meet and take photos with exquisite geisha, a beautiful icon of Japan. Eat a hearty Chankonabe stew, the staple food of a Japanese sumo wrestler. Visit the glittering Kinkaku-ji and Kiyomizu-dera temples. Learn about Japan's rich history from your English speaking guide. Enjoy convenient roundtrip transportation included. The ancient city of Kyoto is rich in Japan's most traditional cultural heritage and architecture. This unforgettable day tour will take you to a journey through Kyoto's essential historical and cultural stops, as well as a taste of traditional specialties in Japanese cuisine. The day begins with a trip to Kinkaku-ji Temple, one of Japan's most illustrious edifices, surrounded by beautiful green mountains and a clear lake. Next head to Gion, Japan's most famous geisha district, where you will experience a delicious Chanko-Nabe lunch, a stew traditionally eaten by Japanese sumo wrestlers! 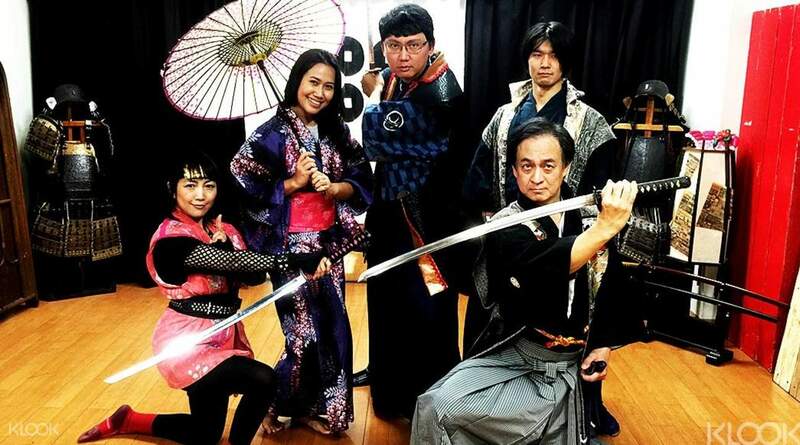 While you're there, you will be graced by the company of an actual geisha, Japan's highest form of entertainers. Geisha are typically reserved and difficult to spot, so make the most of this once in a lifetime opportunity to take a photograph with them. You'll next head off to Kiyomizu-dera. This temple is Kyoto's oldest, a magnificent wooden building that displays the sheer beauty of the architecture in its time. At the end of the day, you'll be returned to your hotel bringing with you priceless memories of Japan's history. A day trip to Kyoto for first-timers wanting a sweep of the city. Experience the traditional serenity of Kyoto's main shines—Kitano-tenmangu Shrine and Heian Jingu Shrine. Explore the detailed architecture and grounds of the Kyoto Imperial Palace. Stroll through an array of temples including Kinkaku-ji Temple, Sanjusangen-do Temple and Kiyomizu Temple. Transport back to the 1600s with a visit to the Nijo Castle. Enjoy a tasty lunch plus hotel pick up included in the tour. Embark on a historic journey through shrines, castles and temples. Few places in the world can offer such a trip—Kyoto happens to be one of them. With this Kyoto tour leaving from Osaka travelers are encouraged to leave their technology-filled lives and venture to Kyoto's serene Kitano-tenmangu Shrine and Heian Jingu Shrine. However, the journey doesn't end there. 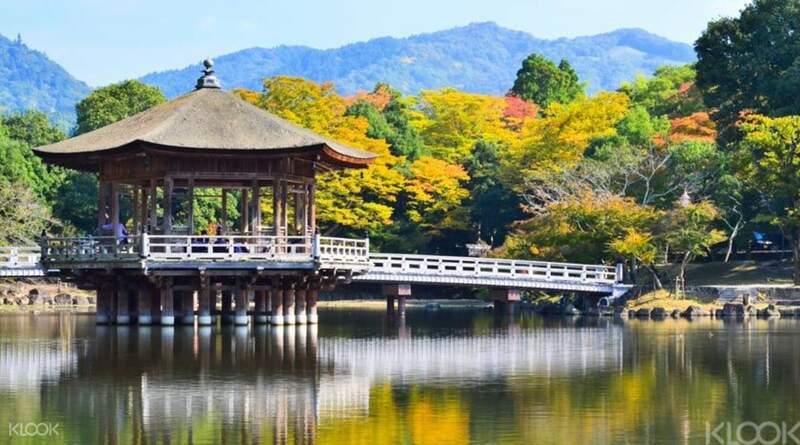 The trip fills the day with a visit to the elegant Nijo Castle and Kyoto Imperial Palace, and welcomes the afternoon with a succession of Temple visits. This Kyoto day trip is perfect for any Kyoto first-timers wanting to experience the traditional heart of Japan's cultural city. Roam through Mt. Koya and unravel its spiritual wonders. Revel in the spiritual serenity of Mt. Koya's historical temple and take in the mountain's natural landscapes. Experience eating like a Buddhist monk Henjoko-in Temple, Ekoin Temple or Tentoku Temple. Enjoy exploring Mt. Koya at your own pace and leisure. Learn traditional Japanese fighting techniques. You too can learn to become an ancient Samurai or Japanese Ninja! After a brief talk to learn the history and basics of "Tate" (sword fighting), it's over to you to try your hand at this complex art usually only taught to stage or film actors. Not only do you have to focus on correcting the moves, but your deportment, gestures, etiquette, attentiveness as well as possessing discipline of mind are equally important. Believe us, it's harder than it looks! If you're impressed by the swift movements and subtle agility of a ninja then why not try your had at throwing stars and practicing the special hand 'seals' said to bring ninjas their superhuman skills! You'll certainly feel the part dressed in traditional outfits as you act out a fight using all the moves you've just learnt. Not only will you discover traditional Japanese culture but we promise you'll feel like you've just taken part in an action movie too! Of course, they'll be plenty of time for taking photographs as well! History and nature combine for an impactful journey. Visit the Itsukushima Shrine and behold its picturesque beauty as it sits upon the sea. Discover the terror behind the atomic bomb at the Hiroshima Peace Museum. Gaze upon the Atomic Bomb Dome and witness the disastrous outcome of the first atomic .bombing during WWII and uncover the promotion of peace brought through preserving the dome. Ride the iconic Shinkansen (bullet train) in both directions. Enlighten your previous notions of WWII with a day trip that will put into perspective the impact of the first atomic bombing. The Atomic Bomb Dome is an important element of the trip, reminding us of the destruction the bomb caused. The Dome is now preserved to promote peace and the elimination of all atomic bombs. Don't worry, the somber atmosphere doesn't stay for long. Witness the spiritual beauty of the Itsukushima Shrine. Famed as a floating shrine on the sea, Itsukushima Shrine surrounds itself by the Prussian blue sea and the picturesque virgin forest. Anyone wanting a day of wondrous sightseeing and purposeful historic learning, then give this trip a shot! Scenic gorges just 75 min from Hiroshima. Take a break from city life and escape into the outstanding Hiroshima countryside. Don't miss the gorgeous red hues of the maple tree season in October. Learn more about the area from your experienced private guide. Take a boat down the Shiwagi River and through Sandankyo gorge, regarded as one of Japan's most beautiful. Witness some spectacular natural sights including five waterfalls, deep lagoons, huge boulders and glistening streams. Hiroshima might be most known for the symbol of peace it now represents after the tragic events of World War II, but did you know that Hiroshima is also blessed with a beautiful climate and outstanding nature? 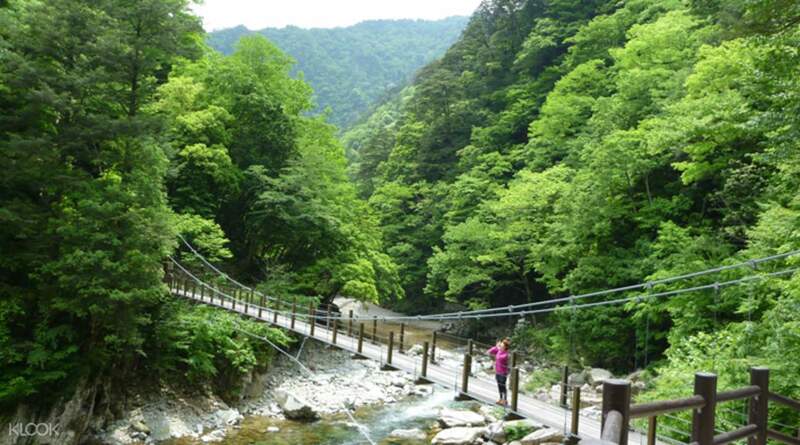 On this one day guided walking tour from Hiroshima, you'll visit the spectacular scenery of Sandankyo Valley, a designated area of natural beauty, boasting five cascading waterfalls, boating trips through canyons and an oasis of calm. You'll get a completely different experience in every season: cherry blossoms in Spring, lush green colours in Summer, red hues and maple leaves in Fall, and peaceful snowy scenery in Winter. Stroll through scenic forests, take in the fresh air and enjoy a tranquil boat ride through 13km Sandankyo Gorge. 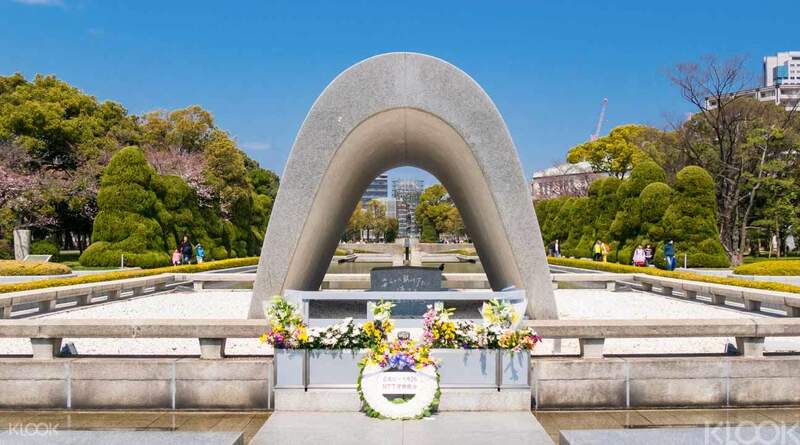 With Hiroshima hotel pick up and an informative English speaking guide to fill you in on the area's history, this tour makes for the perfect city escape. Go shopping, head to an onsen, and enjoy beautiful views. 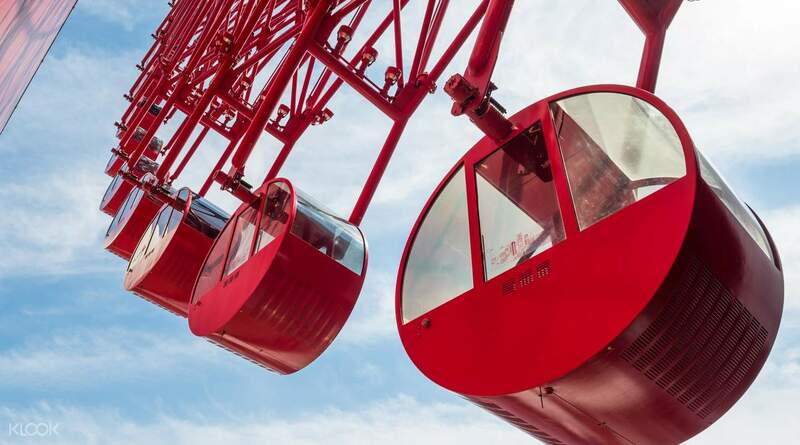 Get a free ticket for HARUKAS 300 Observatory Pass (¥1,500 value)! Kobe is one of Japan's most popular tourist cities, particularly when it comes to shopping and leisure. 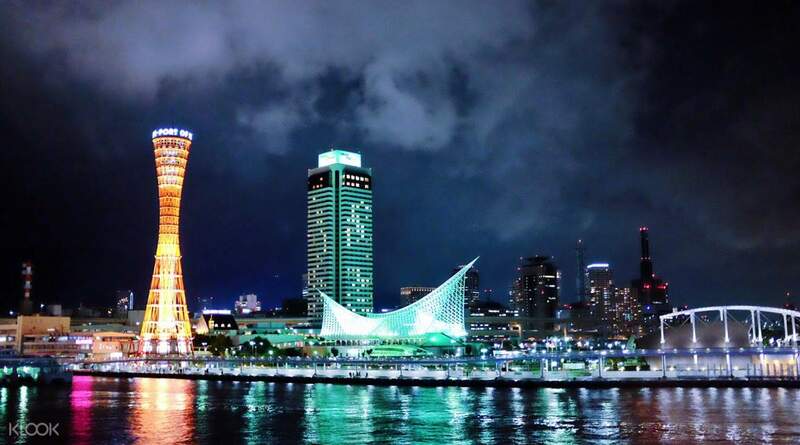 This join in day trip from Osaka will take you to the city of Kobe where you'll first head to Kobe Mita Outlet, part of the Japan's largest chains of outlet shopping destinations. Four glorious shopping hours are provided for you, and you'll be able to find amazing deals and brands. After so much shopping, what could be a better way to unwind than a visit to the famous Arima Onsen, where you can soak in the steaming waters and let the exhaustion of the day slide away. Then you'll be able to head to Mount Maya Kikuseidai, and from this vantage point, you'll see the spectacular nighttime panorama of Kobe, one of the most iconic views in all Japan -the perfect way to cap off a day of discovering Kobe. Get tickets to the Osaka music festival on 20 and 19 Aug 2017! Witness performances from the biggest international and local acts in music. 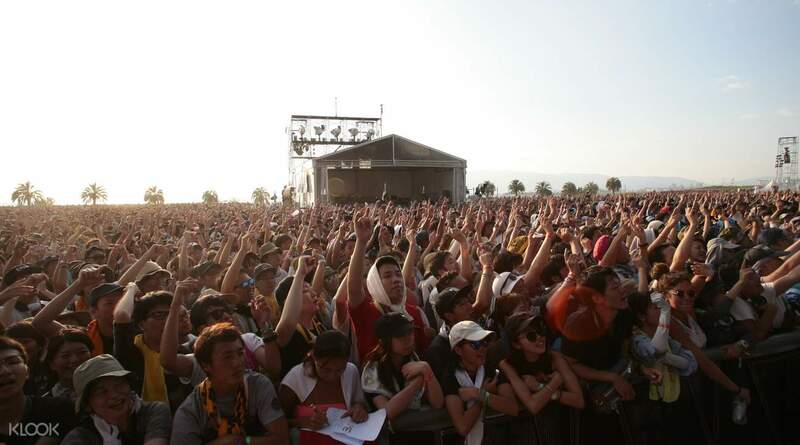 Headlined by Calvin Harris, Foo Fighters, Black Eyed Peas, Maximum the Hormone & more. Join a massive crowd in one of the top three biggest festivals in all of Japan. Just 30 minutes from downtown Osaka! All over the world, people are rushing to take part in the festival fever coming once again to Osaka this summer! Summer Sonic stands as one of Japan's biggest music festivals and this year's lineup is something that no music fan should miss out on. It'll be two solid days of pulse-pounding music and a real party atmosphere not far from Osaka's city center, with enough energy to keep you buzzing for days. Headlining the formidable lineup of foreign acts are world-famous names: The Foo Fighters, Calvin Harris, 5 Seconds of Summer, Black Eyed Peas, Good Charlotte, Kesha, Charli XCX, Sum 41 and more. Joining them are Japanese acts Maximum the Hormone, Denki Groove, and the viral sensation PIKOTARO, who is well known for the Pineapple-Pen video that swept the world. Each musical genre gets well represented in this sonic concert and will sure keep your body moving for two days! Don't miss out on this year's Summer Sonic in Osaka! really awesome way to make myself funny to its enjoyable combination.